The T Series thermostat controller. 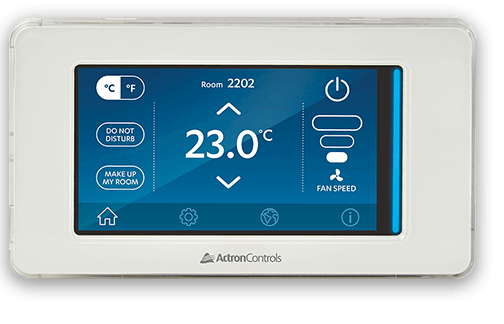 The complete solution for premium hotel room control. Premium performance at your fingertips. With a full colour touch screen featuring a premium, easy to use design, the T series was developed with flexibility and compatibility in mind. 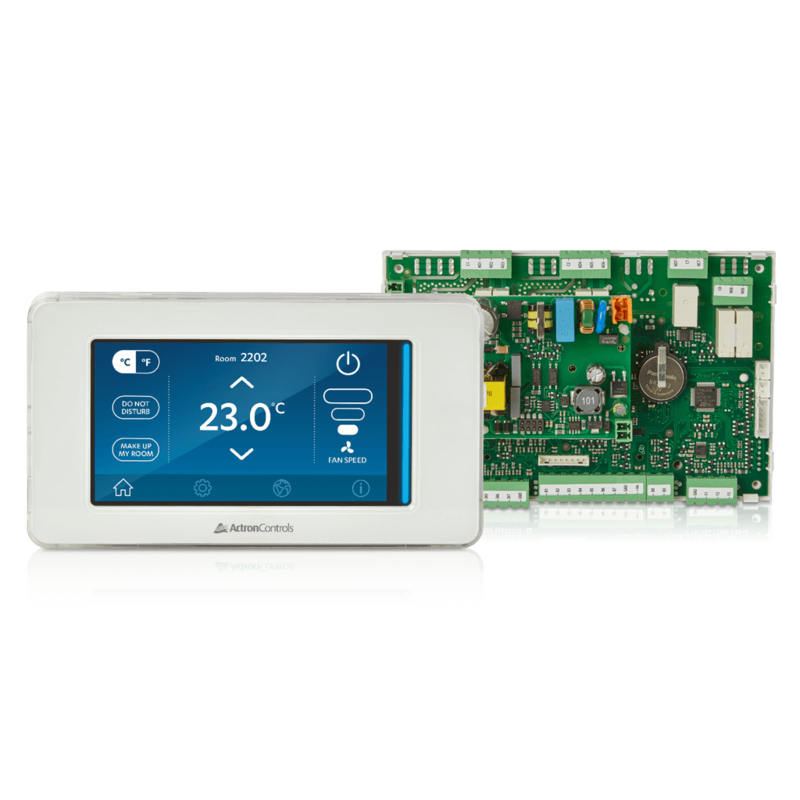 Its integrated design comes with a range of popular control functions enabled, is BMS compatible with Modbus and BACnet systems, and allows for an easy and simple installation process with no need for additional modules or complicated extra wiring. Superior comfort control that is easy on the eye. 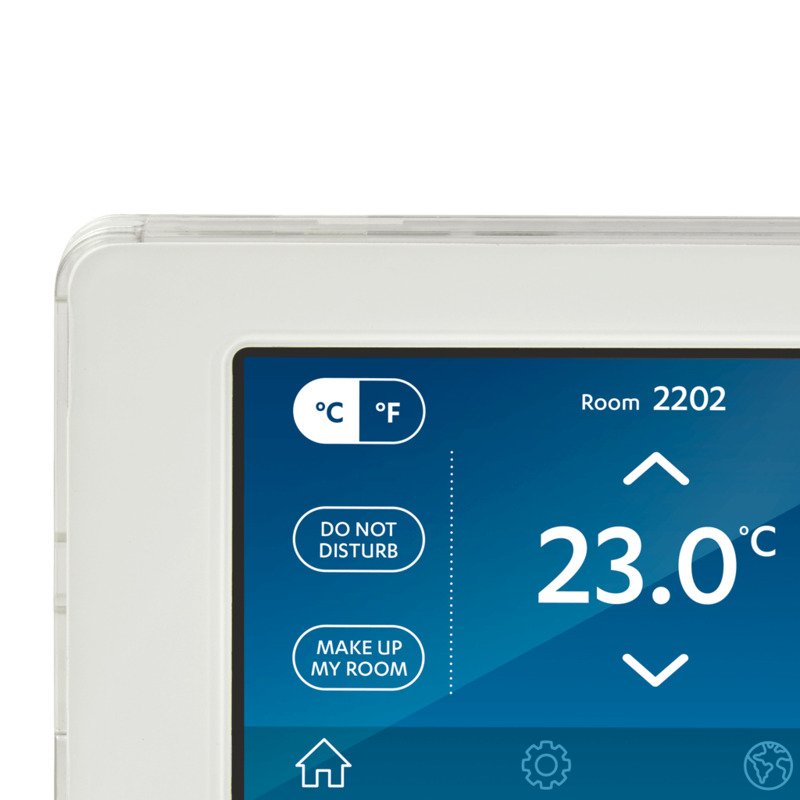 The T series comes with a premium design, featuring a full colour screen with a range of colour options that can be matched to a wide range of room decors. 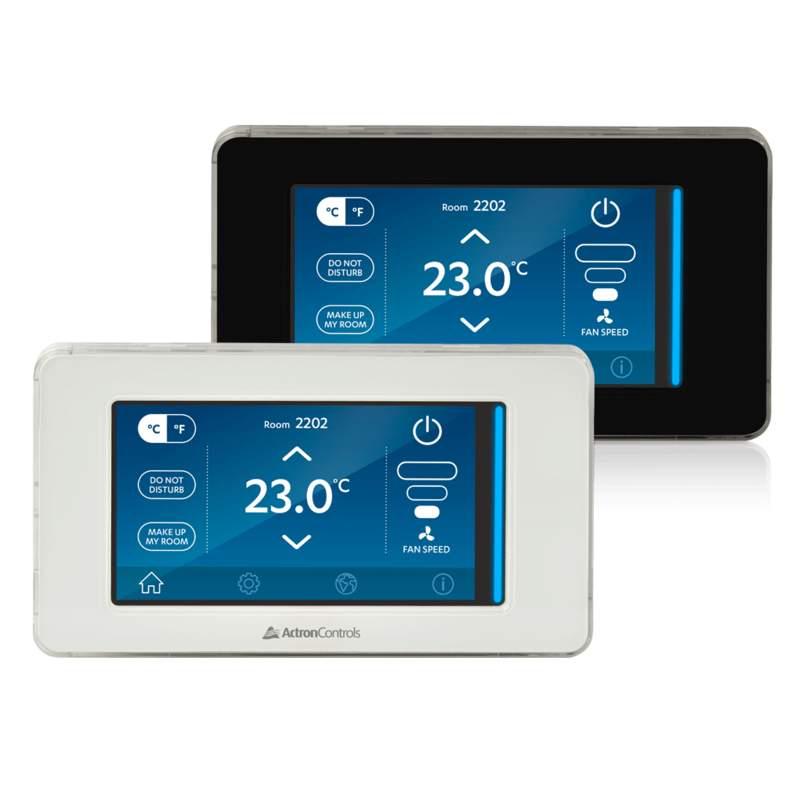 Its user interface is easy to use and simple to navigate, allowing users to access a range of useful features and functions. And to ensure it can be tailored to suit every environment the T series has a fascia that comes in your choice of either black or white, and gives you the option of customising it with a logo of your choice. The controller that gets along with everyone. The T series has been developed to be as compatible and flexible as possible, with a design that makes it suitable for a variety of room types. It offers an optional BMS card that make it compatible with both Modbus and BACnet systems, making it very easy to install into existing infrastructure. When it comes to installing the T series controller, it couldn’t be simpler. It comes with a single relay board, allowing for easy wiring by removing the need for additional module that bring with them complicated extra wiring. Service and maintenance is also made more efficient, with an easy-to-access Service screen available from the controller itself, allowing for fast diagnosis and removing the need to investigate further in hard to reach places. Need more information? Download a brochure now.